Officially NCAA Garage Door Decor. Fits Standard 7'x8' Garage Door. Flat or Paneled Garage Doors. Garage Door Decor is a spirit and fan Decoration that you hang on your garage door in a matter of just a few minutes. 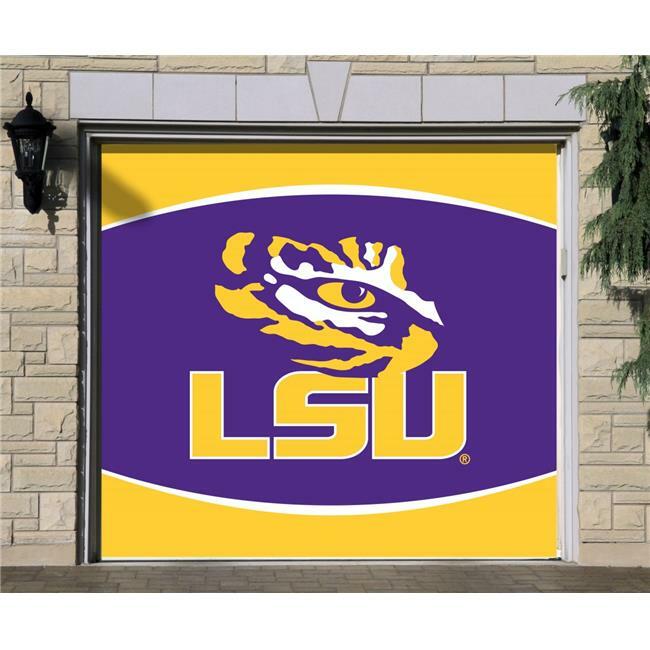 Victory Corps created and manufactures the Garage Door Decor and there is nothing else that compares to the Garage Door Decor in Quality, Designs and Pricing. Garage Door Decor is designed to work on standard roll up doors and flat doors. All Garage Door Decors are made of the highest quality materials and construction for many, many years of enjoyment. The Garage Door Decor comes to you in a reusable storage box and ready to hang on your door. The hardware we have developed allows you to hang the Garage Door Decor in a matter of just a few minutes and you are able to use your garage door as you normally would. There is nothing attached directly to the door (tapes, screws, etc.). It does not compromise the integrity of the garage door. It is truly an incredible and fun Decoration. Victory Corps invented and perfected the Garage Door Decor. Our quality of materials, print and ease of installation can not be matched. the one and only Garage Door Decor by Victory Corps. Thank you.